Good afternoon! 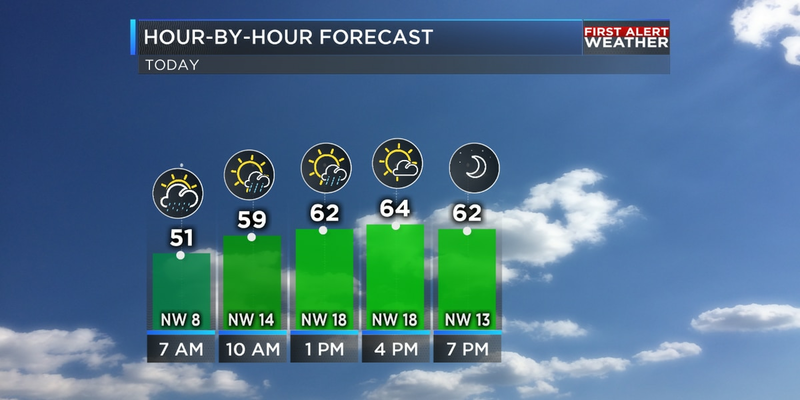 This afternoon is going to be warm and breezy. Highs will be in the upper 70s to near 80 degrees, which is above average for this time of year. The wind will be out of the south at 10-20 mph. Wind gusts could be as high as 30 mph. A LAKE WIND ADVISORY will be in effect for the I-49 corridor and points west from 11AM to 6PM today. This is where the wind will likely be the strongest this afternoon. With a strong south wind, area lakes will be choppy. 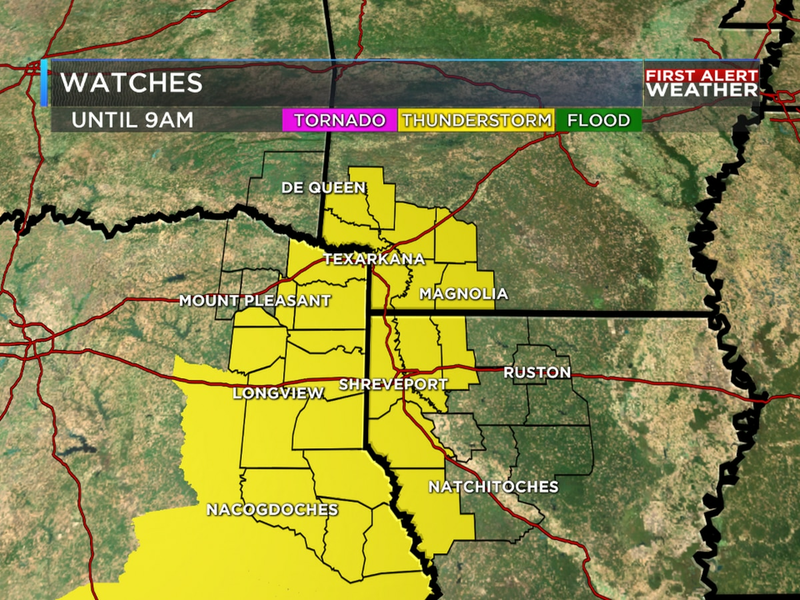 More clouds will start to find the ArkLaTex today, but rain is not expected. This afternoon will feature a mix of sun and clouds, but no rain is expected. This evening will be warm. Temperatures will slowly drop through the 70s. Most places won't drop back into the 60s until after 10 p.m. The overnight will be mostly cloudy and mild. Lows will be in the low 60s. Most of Wednesday is going to be warm, mostly cloudy and breezy. Highs will be in the mid to upper 70s. A few places could hit 80 degrees. Storms will start to develop along a dryline just west of the ArkLaTex Wednesday afternoon and will move east into the area late Wednesday afternoon and evening. The I-30 corridor will have the best storm chances late Wednesday afternoon and evening. A line of showers and storms will develop as a cold front pushes through Wednesday night. Right now, it looks like all modes of severe weather will be possible. The storms that develop along the I-30 corridor late Wednesday afternoon and evening will likely pose the greatest hail threat. As a line of showers and storms develops, the main threat will be strong to damaging wind gusts Wednesday night. Overall, the tornado threat looks low, but not zero. Locally heavy rainfall could lead to localized flooding. Rain and a few strong storms will linger into Thursday morning. 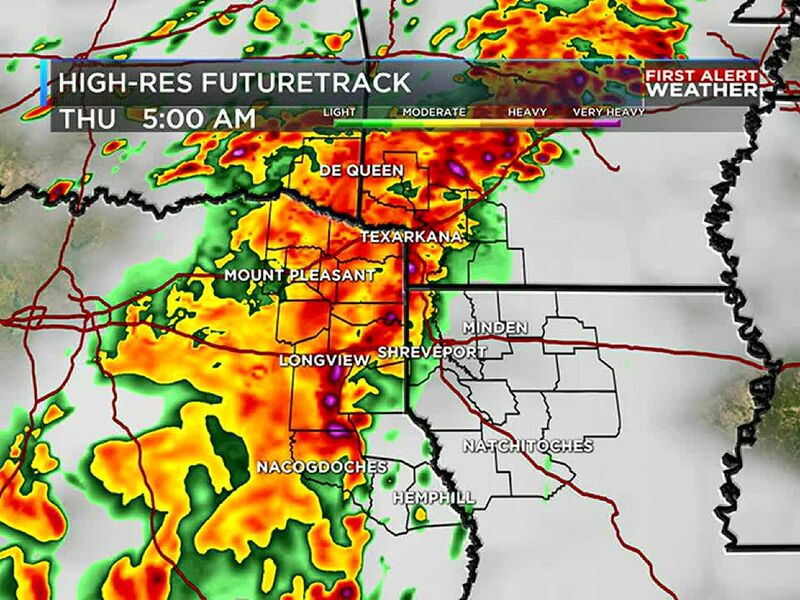 The rain and threat of severe weather will shift east of the ArkLaTex Thursday afternoon. We should even see the clouds start to break up Thursday afternoon. Highs on Thursday will only be near 70 degrees. The end of the work week will be quiet and cool. Highs on Friday will be in the mid to upper 60s. Have a great day and enjoy the warm weather!